Lock in a great price for Be Lounge Hostel – rated 8.7 by recent guests! I found the house beautiful and the dorm was really great: spacious, cool, comfty bed. It's a nice place to get some rest and relax. The breakfast was good and the staff were super nice. This was my favourite hostel in Cartagena, after trying quite a few. I'll definitely come back. Only stayed here one night but Be Lounge was so beautiful and definitely one of the highlights of my trip to Colombia! They have a great restaurant and bar and the staff is very helpful and also will let you leave your bags if you are traveling to Tayrona, Minca, etc. The hostel is just wonderful, lovely place. I totally recommend it. Perfect location. Amazing design, 200 year old building, the architect preserved all the charm of the ages, loved the exposed walls and the lighting, and all little artsy details. Unique place to remember. I was in a private room 1st floor, which I loved. Although it had no windows, the a/c, high ceilings and ventilation made it perfect. Comfy beds. Nice musical background from the bar and noise level perfectly bearable. Very nice and relaxing garden just outside your door. Staff, Andreas and Camillo, were the best, always available and taking care of everything, going above and beyond, cannot wish for more, you can count on their advice for everything, excellent communicators. My highest recommendations for this place, would definitely go there again! Location is great little roof top was nice beds are comfortable and dorms are spacious, the decor of the place is really nice and the staff are really good. The staff were really good people, Camilo was a helpfull person! I really did enjoy my stay. 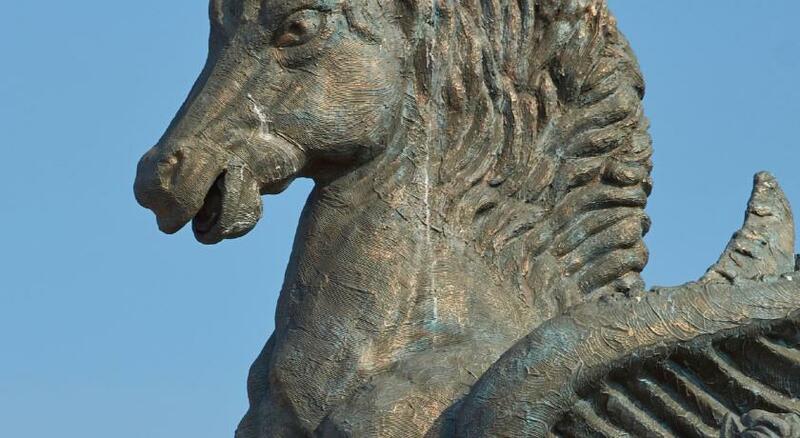 The locations is perfect, near to Cafe del mar, a tourist and beautifull restaurant. The location is great, in the middle of the historic center. The staff is super friendly and speaks English. The rooms and the lobby are nice and clean. The hostel was perfect and nicer then others in the area. Everyone was also very friendly. Our only complaint is our room was behind dining and backed up to the bar and it was loud until about 1am. This was a great choice, location was amazing and the breakfast was really good. The beds are bigger than usual and very clean. The staff is really helpful and I would totally recommend this hostel to anyone visiting Cartagena. 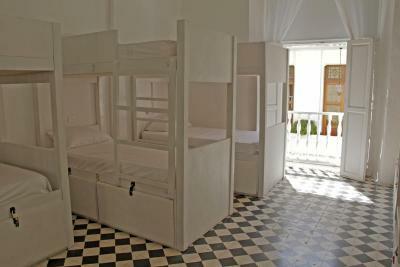 Located in Cartagena de Indias, an 8-minute walk from Bolivar Park, Be Lounge Hostel features a garden and a terrace. Popular points of interest nearby include Cartagena's Gold Museum, Palace of the Inquisition and Cartagena's Modern Art Museum. Guests can use a bar. All guest rooms at the hostel are equipped with a seating area. Every room is equipped with air conditioning, and some rooms at Be Lounge Hostel have a balcony. A continental or buffet breakfast is served at the property. At the accommodation you'll find a restaurant serving Local cuisine. Speaking English, Spanish and Portuguese at the 24-hour front desk, staff will be happy to provide guests with practical advice on the area. Cartagena's Walls is 1.6 miles from Be Lounge Hostel, while San Felipe de Barajas Castle is 2.2 miles away. The nearest airport is Rafael Núñez International Airport, 3.7 miles from the property. 뀐 Located in the real heart of Cartagena de Indias, this property has an excellent location score of 9.6! When would you like to stay at Be Lounge Hostel? This triple room has a balcony, tile/marble floor and patio. This bed in dormitory has a balcony, patio and air conditioning. This bed in dormitory has a balcony, seating area and air conditioning. This bed in dormitory features a balcony, seating area and patio. Area Info – This neighborhood is a great choice for travelers interested in restaurants, architecture and food – Check location Excellent location – show map Guests loved walking around the neighborhood! House Rules Be Lounge Hostel takes special requests – add in the next step! Be Lounge Hostel accepts these cards and reserves the right to temporarily hold an amount prior to arrival. Please inform Be Lounge Hostel of your expected arrival time in advance. You can use the Special Requests box when booking, or contact the property directly using the contact details in your confirmation. Beautiful building, stylish colonial building with beautiful patio and lots of plants, super nice staff, amazing location. There were only 3 bathrooms for all the shared dorms. They were dirty most of the time. Girls Bedroom was big, clean and comfortable. Location is excellent. Breakfast is basic but it's ok.
Too little amount of showers. And too basic for the price. Also breakfast was very basic!! It was quite dirty and the staff were incredibly unhelpful. After travelling 6 months in South America, this was one of the first times I didn't feel welcome into a hostel or couldn't seek advice for onward travel. It's a chilled out hostel and within the walls, but there's are better hostels I would pick. It's relaxing but not many places to chill so grab a seat early. Very friendly stuff. Clean and comfortable dorm. Location is Perfect. Very good WiFi. Nice courtyard and places to sit. Breakfast is very little but ok. 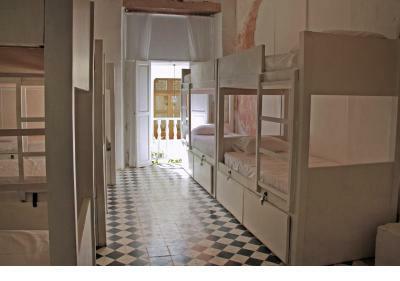 Overall best price in Cartagena old city for a dorm. We would come again! The vibe in the hostel seemed a little dead. There is a nice bar with trees and a balcony, but people rarely sit there, and if they do, they stick to groups. So it isn't the best place for solo travellers to meet other travellers. Also the breakfast is very plain - if you want eggs you need to pay extra. This hostel has the best staff I have ever met in a hotel/hostel in my life. They went far and beyond to answer all my questions and accommodate my plans. In the middle of the night they booked buses to Tayrona for me and then helped me plan my trip to Isla Grande. The location is excellent - probably as central as it can get (very close to Cafe del Mar for a great sunset view). The rooms are also quite nice, although there are many beds in one room (10+). We spent a total of 4 nights at this hostel and it really started to feel like home. The staff is very accommodating and wonderful, and the space is very chill and stylish - a great place to relax between exploring Cartagena. Not a party hostel at all, but a nice place to chat with other travelers. The location is prime. The only down side was that that kitchen was small and a little difficult to cook in, but we managed. I'll definitely be back if I'm ever in Cartagena again! Really good location in the middle of the historic center. Rooms are spacious and comfy beds. Location was great, nice spatial/interior design, staff was kind and friendly. The location and the vibe of the hostel are really good. Great breakfast and fresh coffee every morning, social vibe in the evening.